As you may have guessed from the title, being a surgeon is how I make my living. The obsessional nature of my work spills into my personal life and into the things I love to read, write and play. I don’t just like comics, I am in love with them and the incredible worlds they depict and sometimes you can become blissfully lost in them. If you struggle to understand where I am coming, fail to be immersed in the writings and the pictures of the most imaginative creators out there, then just take a minute to allow me the chance to tell you. Ill be your guide through the mazes of Jonathan Hickman, the dreamscapes of JH Williams III, the musings of Grant Morrison, and the footsteps of Miller, Moore, Kubert and Adams. It may take you some time to get there but I promise you will be greeted with open arms. Welcome to The House! eager to read, Kulbir -thanks for reading! I couldnt find an email to reach you by so ill just put this here. 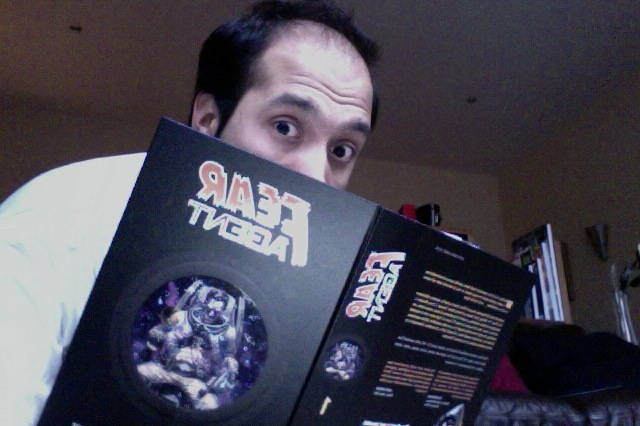 My name is Andrew Horton and I run the comic nook review blog deja.revue. At the end of the month I am going to run a collaborative article where I and others list their top 5 favorite comic series’ of the quarter. It would be a simple 1-5 list with 1 to 3 paragraphs for each selection explaining why you chose it. If you are interested let me know! The deadline is March 30th. Awesome ill send you an email about it!